St. George is very known for being a sunny resort type city with its palm trees, pools, spas and etc. So what about the colder seasons? What do locals do during those times? Luckily our winters are extremely mild compared to other areas of Utah like Cedar and Salt Lake. So mild in fact that the average yearly snowfall is only 25 in. Making St. George one of the nicer places to live if you’re wanting to get outdoors year round! So here are several things that you can do year round and in the colder seasons while living in “Sunny St. George”. Yeas, believe it or not, but our beloved Tuacahn Amphitheatre has shows even during the coldest months. Running year round due to the fact that it rarely snows and, yes might be cold, but not cold enough for show biz! For those who do not know; George Street Fest is a monthly celebration in our city. Bands, food, booths and more. This runs year round and is a fun activity for the whole family even when it’s a little chilly outside! I mean we know it isn’t ideal to go swimming in the fall-winter months, but again, believe it or not, there are days during the cooler months that are actually warm enough to take a dip in an indoor pool. Oh yeah! How cool is that? You can GOLF YEAR ROUND in St. George! The weather is so mild and with there being hardly any snowfall, golf is a year round activity for locals! Southern Utah has some of the most beautiful National and State parks to explore! Snow Canyon, and Zion are definitely a favorite and are open year round. Even the smaller hikes within the city, like the ones on Dixie Rock are a year round activity! 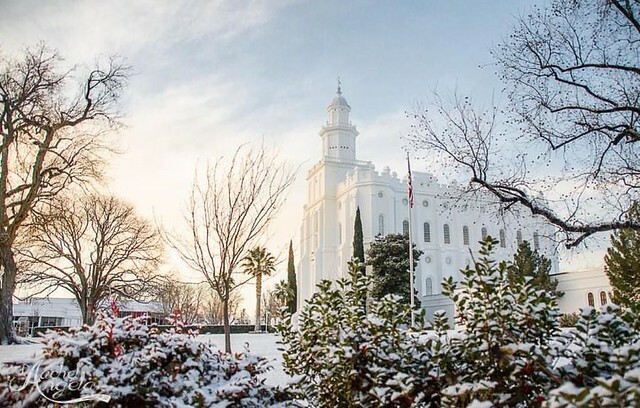 So when thinking of moving to St. George, you can rest assured that there are more than enough activities to do in the winter.. Pretty much anything you can do in the summer, you can do in the cooler months, almost anything.